Last week I was all up on my high horse about being productive. Then I realized that I was holding onto one of my best kept secrets: the way I ACTUALLY schedule and plan my day, every day. If you're a primarily client-based business or you take a lot of meetings throughout the day and you want to know how to stay on top of your projects, this post is for you. Step 1 | Better ORGANIZE! After creating accounts with each of these platforms, I open up my weekly calendar. I have a repeating "Appointment" in the morning where I spend one hour drinking coffee in my pajamas and going through all of my projects for the day (in blue). I then look at my "To Dos" for the day (the things in purple). These are synced with my Asana project management software (where I write everything down under a certain project heading) and pull in every day. After I organize my day, I write down anything that's floating around in my brain or that I just remembered into my Asana. On the left, there are a ton of projects that I'm working on, and my goal is to simply write down the next one or two tasks to continue moving each project forward. I then assign each "To Do" to myself and give it a due date. After I give all my "To Dos" a due date, I color code each project (on the left in the image above) and then I flip over to the calendar view to see what my month looks like. If any day looks too heavy (more than 3 - 5 tasks) I try to reallocate as necessary. Sometimes the tasks are little (like "Email caterer" or "Send proposal") which are okay. However, I find that if I'm staring at a day with 9+ tasks, even if they're little, it feels extremely overwhelming. 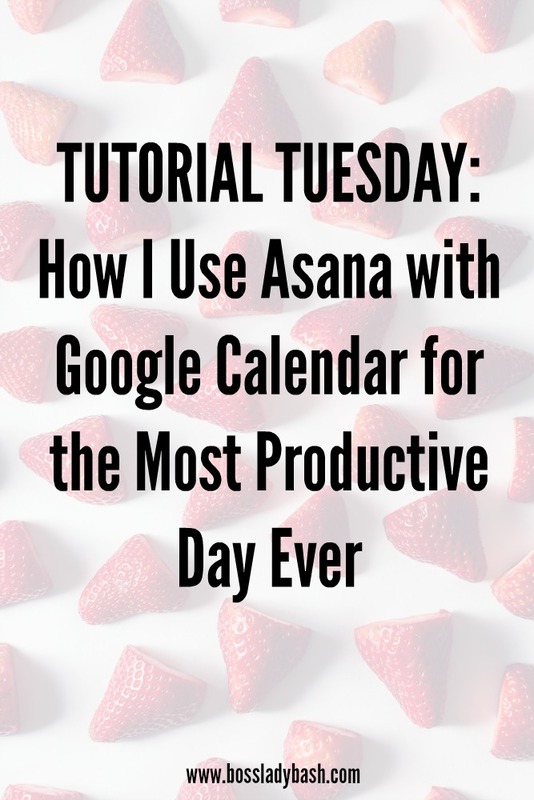 I keep two tabs open at all times: my Asana project management and my Google Calendar. I check in with each of these things hourly to make sure I'm on track each day. If I don't get something done, I move it to the next day or I stay up a little later at night and work on whatever I missed. Your turn! How do you keep yourself on track every day?